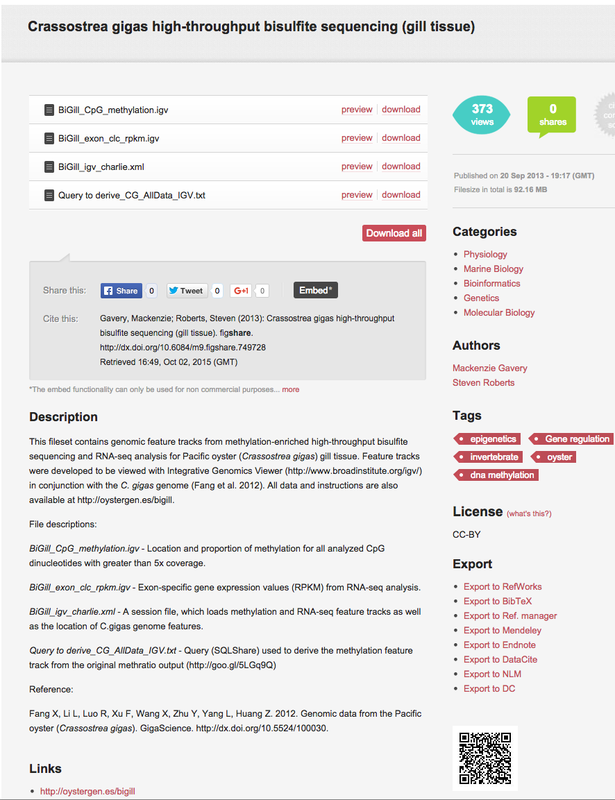 While we can certainly improve on our efforts to make our work open and reproducible, we have published a series of products over the last few years that have had associated code/data repositories that have accompanied the narratives (aka manuscripts). I will try to recap said efforts here as a means to show others different options, as well as point out ways we can improve going forward. 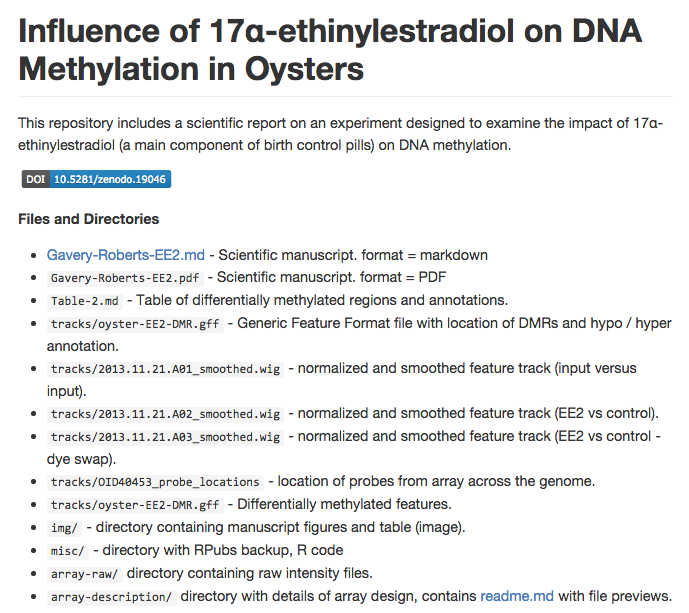 This was one of our early efforts where we provided the ability to view genomic feature tracks in Integrative Genomics Viewer and the SQLShare query used to derive the methylation feature track from the original methratio output. 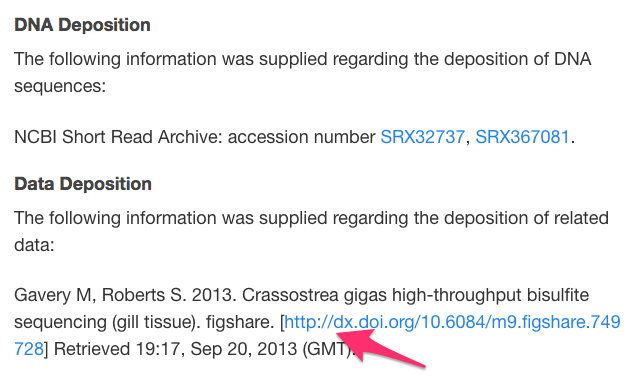 In this particular case we cited the figshare repository in the paper itself. 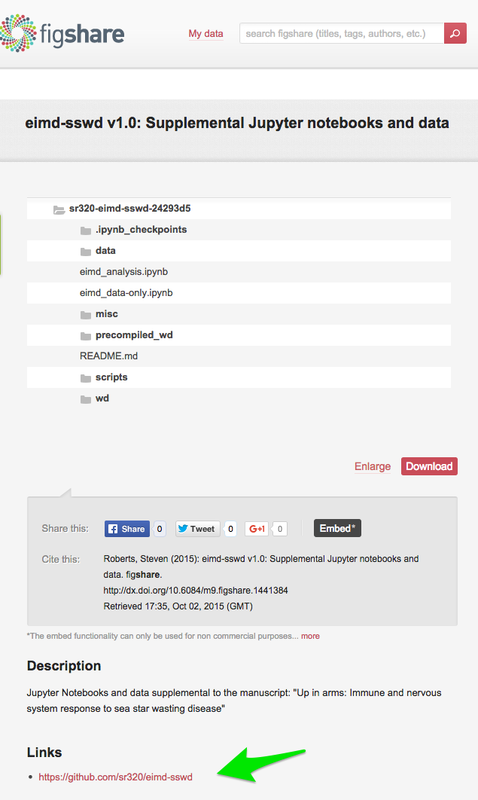 This is an edge case where figshare was used for supplemental analysis, though a tiny bit of R code is part of the repo. 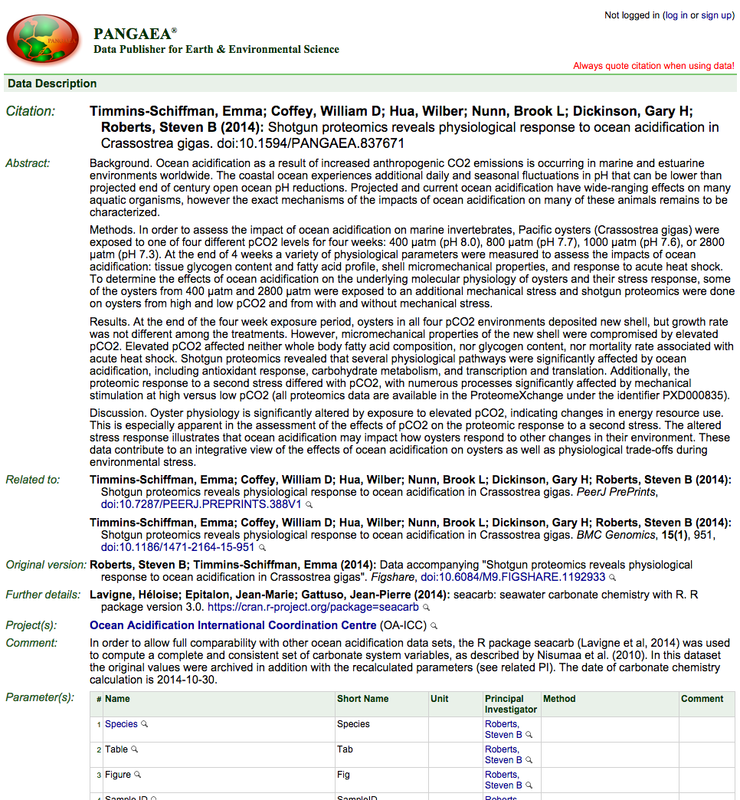 With this paper we added data to a PANAGAEA for the first time per request. 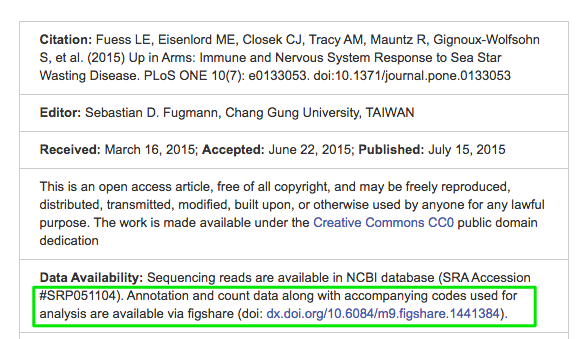 The citations to figshare doubled here (2), where one is a simply a PDF that (in theory) could be used to reproduce the proteomics data results in SQLShare. This is complex as it is a combination of links and SQL commands. A unique problem here is that SQLShare is moving servers, so this breaks. 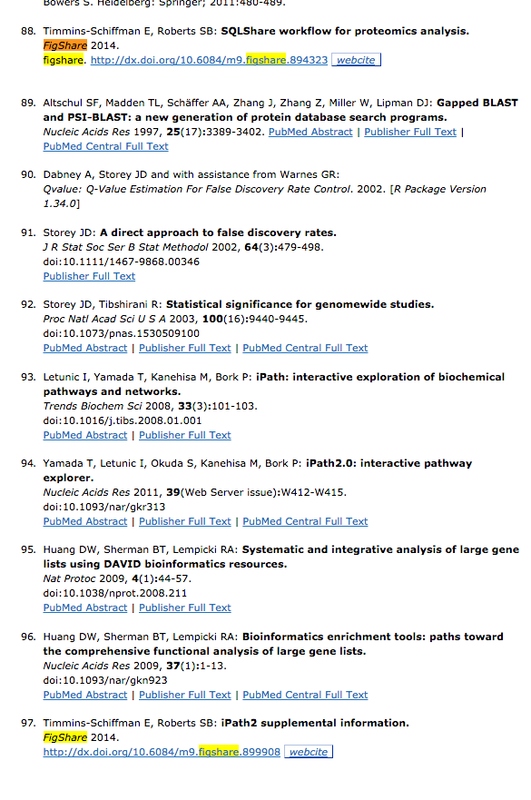 The second figshare citation is the full size pathway analalysis figures that allow people to interact with the data better. This paper is prime for some form of interactiveness. 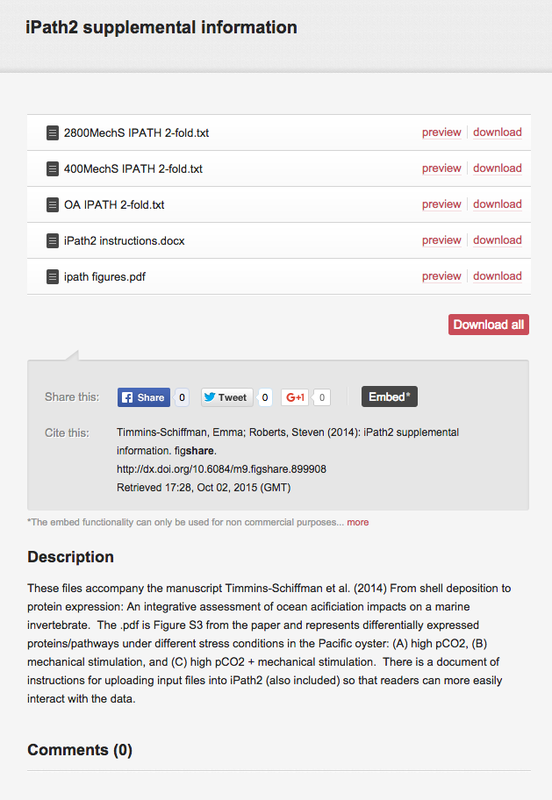 Now we are into “preprints” (and we will continue to be into them). 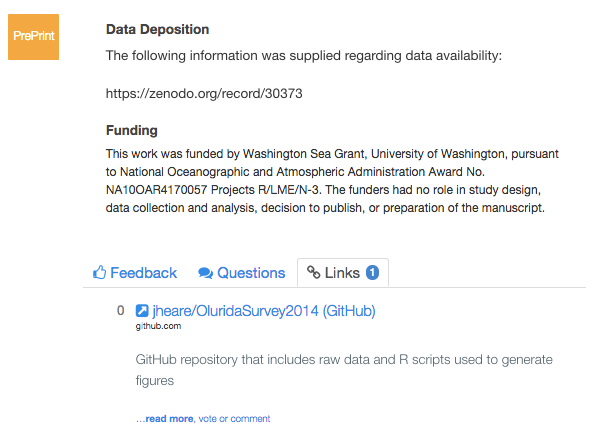 For this particular paper, data was analyzed with R, using a GitHub repo, and doi’d with Zenodo. This link with Zenodo is nice. 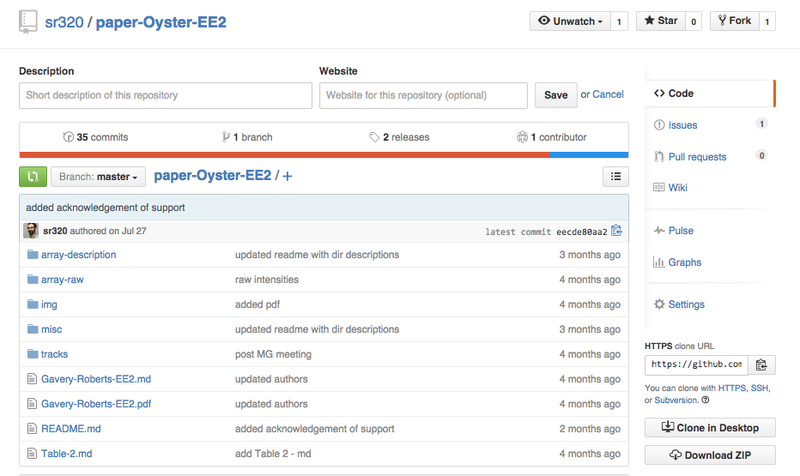 Every time you create another release, Zenodo automatically updates. 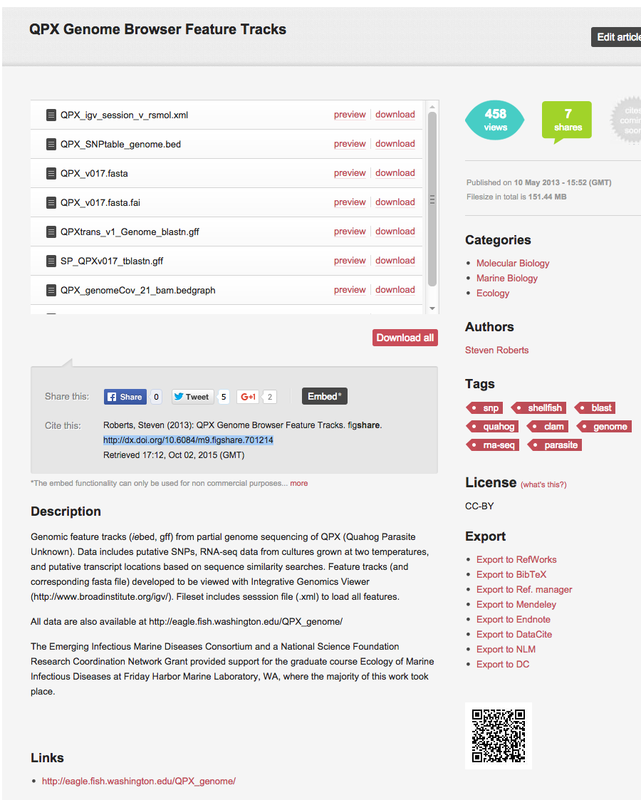 Another preprint, this time on bioRxiv. 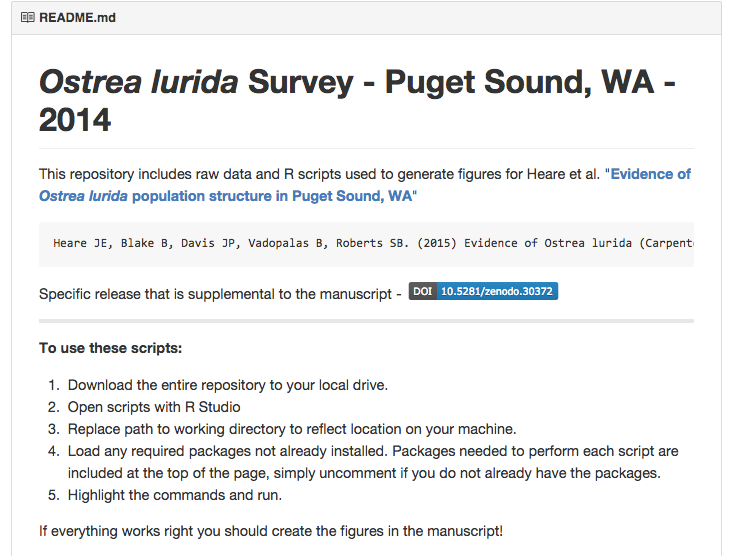 This is probably our most reproducible work. 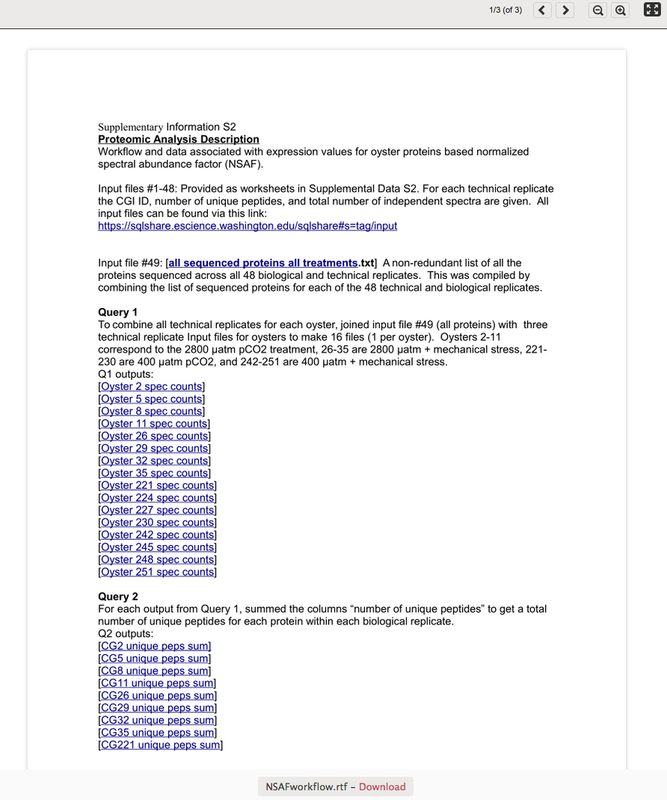 It is done in a Jupyter notebook (fomerly IPython). 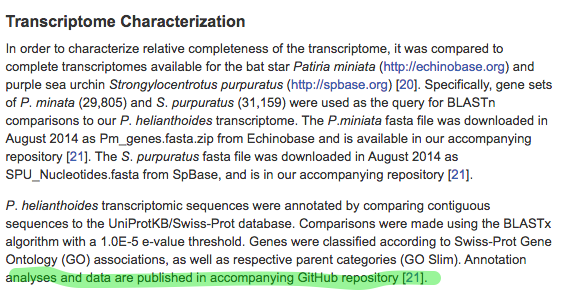 In the paper the Github is directly cited. This is the most different. 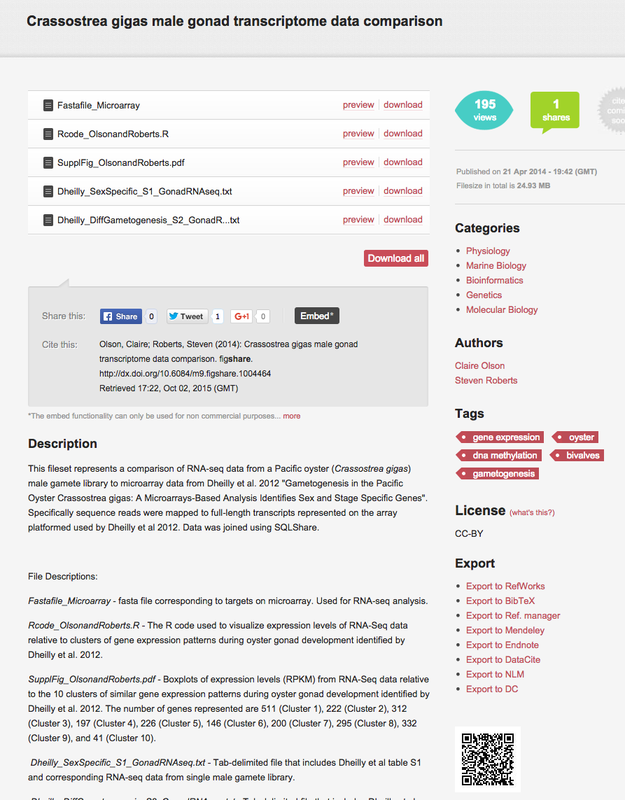 The entire work is on GitHub, doi’d with Zenodo. 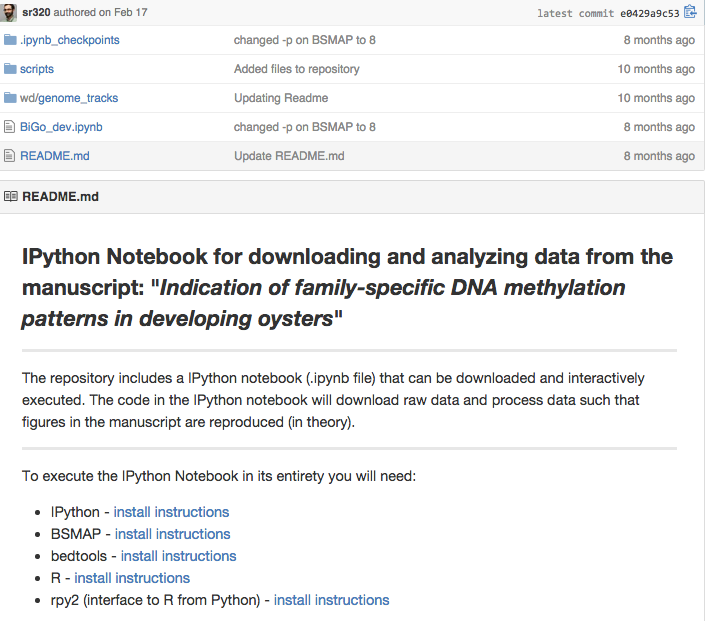 This paper has a robust repo, it includes both Jupyter notebooks and R code. 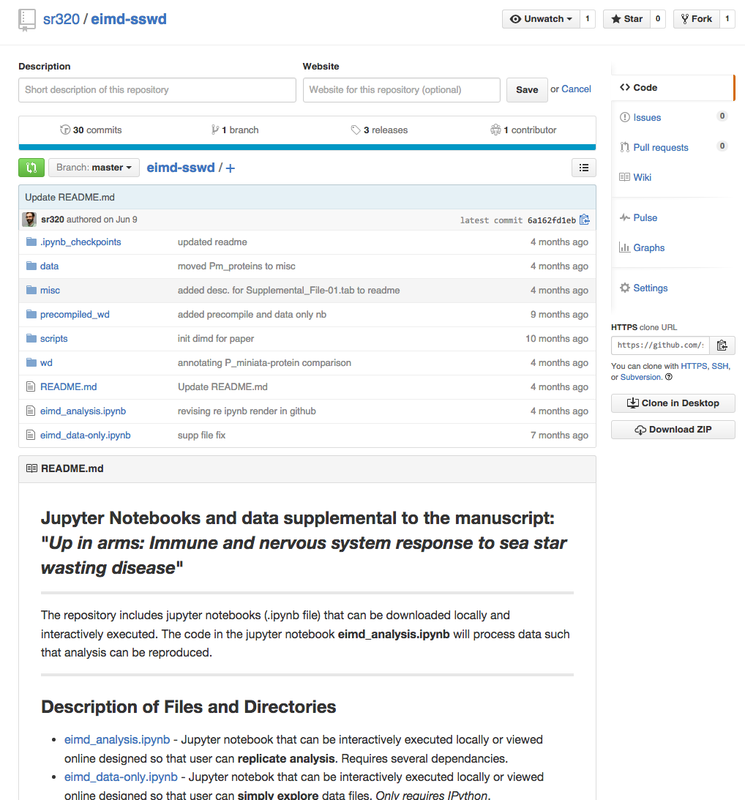 Also this is the first time we have used Authorea to draft the paper. 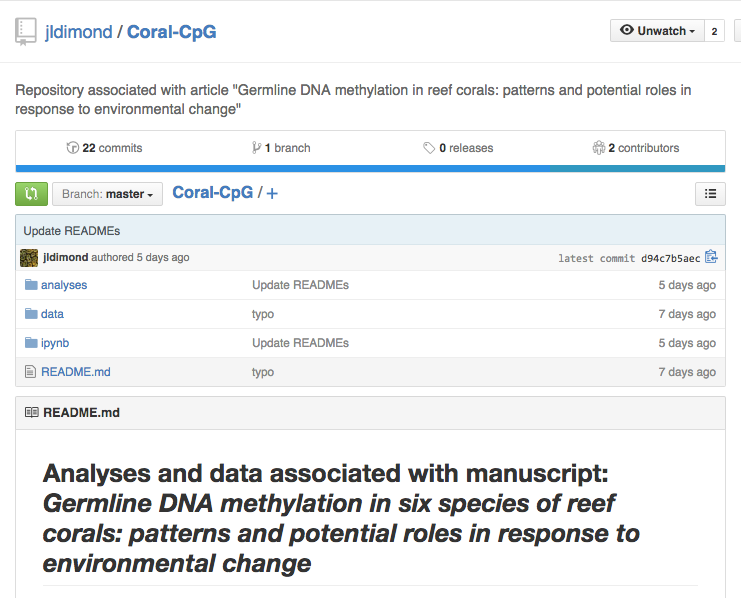 It has been submitted and accepted in Molecular Ecology.